The most popular size to start a cultured pearl necklace is 6mm. 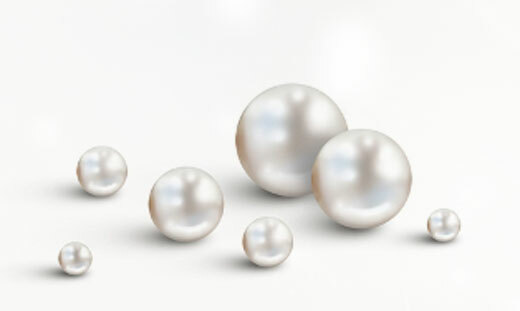 Our pearls are offered in sizes ranging from 3mm to 8.5mm. Smaller sizes, such as 3mm or 4mm, look very sweet on a little girl when there are just a few pearls on the chain, but keep in mind, children grow very quickly and eventually she will be wearing her necklace as an adult. Starting with smaller sizes is great if you plan to graduate the necklace and add larger sizes to the center of the necklace in the future or if you simply prefer the sweet delicate style of a necklace with smaller size pearls. 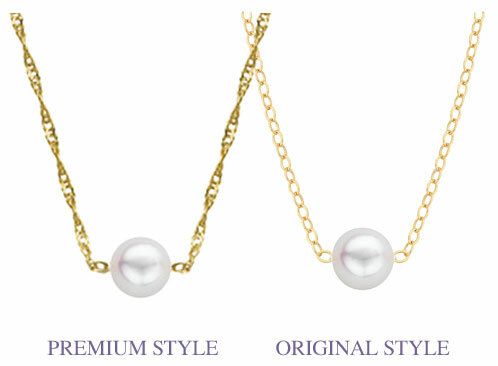 You have your choice of two chain styles – Our Original chain is the traditional style that has been used on all Add-A-Pearl necklaces since 1915. 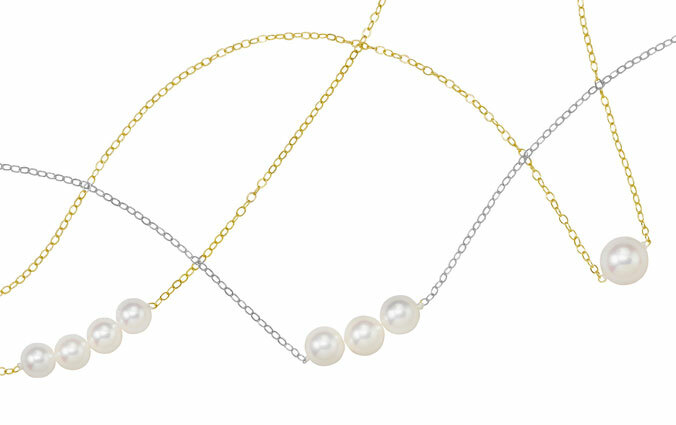 It is a petite cable link chain, delicate yet sturdy enough to perfectly complement an Add-A-Pearl necklace. The Premium chain is a diamond-cut Singapore chain. It is heavier and shinier than the Original chain. Diamond-cut chains have flat surfaces cut into the metal which flashes and catches light similar to diamonds. This is purely a personal preference. 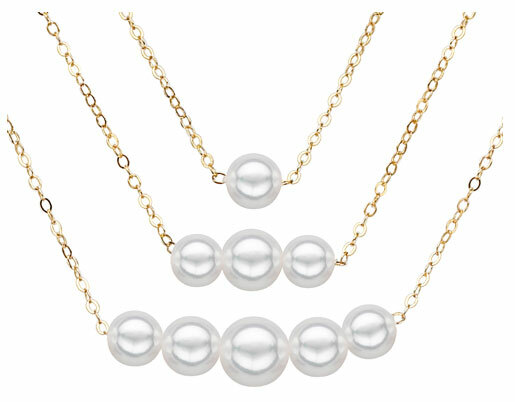 At Add-A-Pearl, yellow gold has long been the traditional favorite. Pearls look bright and elegant against the yellow metal although in recent years white gold has become a more popular choice for jewelry. 14k yellow gold and 14k white gold will retain their beauty and shine forever with very little maintenance. Sterling Silver is an excellent alternative as an affordable white metal option. Most necklaces are started with 1 or 3 pearls on a chain, but you have the option to start with as many pearls as you’d like. You might choose to mark an occasion by starting with a certain number of pearls, for example 7 pearls for a 7th birthday or 20 pearls for a 20th anniversary. If you want to start a necklace with a specific number of pearls, you should first add a necklace to your cart with 1 pearl on the chain. Then, click on the Additional Pearls link and continue adding pearls to your cart until you’ve reached your desired number. Once you get to your cart at check out, you can add a note in the Comment Box saying that you’d like all the pearls put directly on the starter necklace. We are happy to create a necklace especially for you!